Rex Stockton, Chancellor’s Professor in the Department of Counseling and Educational Psychology at Indiana University, responded to a request from the President of the African Association for Guidance for assistance in counselor training for those doing frontline HIV-Aids work in prevention, treatment, or after care (survivors families, orphans etc). 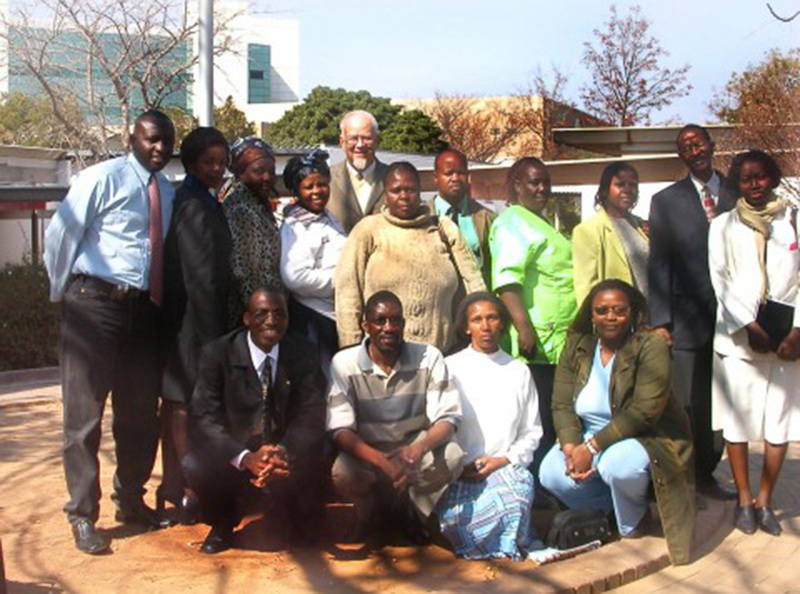 With his wife, Dr. Nancy Stockton, he conducted a workshop in Botswana. The training was judged to be very helpful by the participants and was followed up with a teleconference training some months later. A: The Stocktons later teamed up with professors Michael Reece from IU Public Health, Keith Morran from the IUPUI campus and Amy Nitza from the IU Ft Wayne campus. They were joined by faculty members Dan-Bush Bhusamane and Mercy Montsi, at the University of Botswana. Throughout the years, the group has enlarged to include Lisa Lopez-Levers at Duquesne University and Dennis Kivlighan at University of Maryland and Ariane Hollub from Public Health at Texas A&M. This group of individuals are all volunteers. Thus, a great deal can be accomplished without a large budget. Rex Stockton coordinates the group's activities. Q: What are the goals of the I-CARE project? The I-CARE project focuses on counselor training of human service personnel; providing the necessary skills and tools to conduct individual and/or group counseling to those dealing with HIV/AIDS. Thus, the goal is to enhance the ability of those trained to become trainers themselves. Research and assessment projects aimed at studies that investigate important research topics and provide insights into best practices for workers in this field. To begin a team of graduate students has begun to review the research literature and provide a series of best practice papers for HIV prevention and counseling interventions for people living with HIV/AIDS and their families. Additional papers will be provided regarding the integration of mental health and public health program given their demonstrated efficacy, as well as best practices for counseling orphans and those who work with them. Also, I-CARE plans include bringing human service personnel from African countries to complete a training program at Indiana University for three to nine months. This would allow for a more in-depth training sequence that would further enhance the ability of those trained to become trainers themselves. Another goal is to partner with undergraduate and graduate students interested in service projects addressing the needs of those with HIV-Aids. Interested students will be able to conduct fundraising projects benefiting the project (e.g. 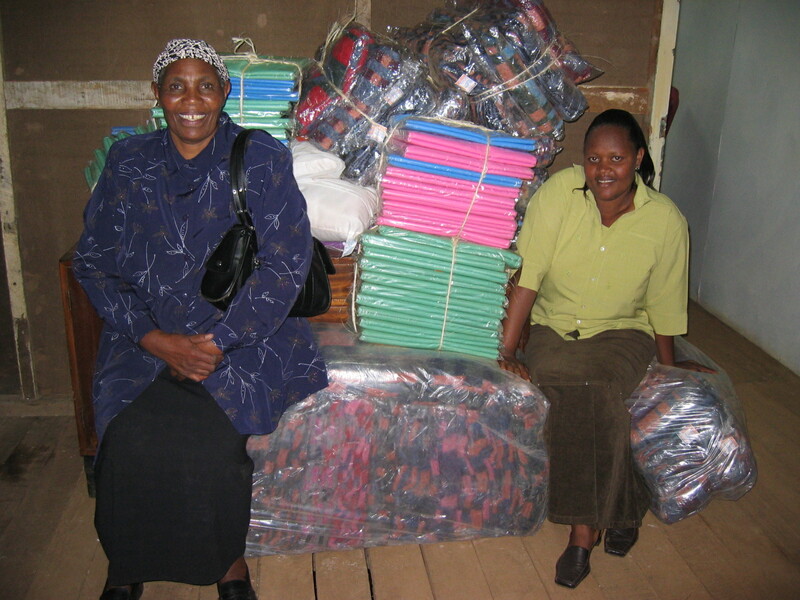 school supplies, aid to orphans, etc.) and too in some cases, accompany project individuals as they journey to Africa for more hands-on field experiences. Q: Why is the I-CARE project concentrating on Africa? Globally, approximately 40.3 million people were living with HIV/AIDS in 2005. Of that group, 25.8 million lived in sub-Saharan Africa (UNAIDS/WHO, 2005). Additionally, in Africa to be told that one is HIV positive is the equivalent of a death sentence, or if medication is available a dramatic change in lifestyle occurs, as many are apt to be rejected by their society. In addition to the scourge of HIV/AIDS, there are other major problems where the social-emotional needs of those involved tend to be overlooked. These include the problems of refugees who have suffered extreme trauma, as well as those who have life-threatening diseases. It also includes, the needs of students who have been orphaned and teachers who are unprepared to deal with the magnitude of the problem. We maintain close contact with the Ministries of Health and Education in Botswana in order to be maximally effective. Q: What does HIV/AIDS research and assessment address? Research can address the ways in which HIV/AIDS tears the social fabric of communities. Thus, what are badly needed are studies that examine the need for improved counseling and public health training. It is imperative to address the abundance of needs which includes: prevention strategies, how best to provide information about the disease and how it is transmitted in order to change behavior, compliance with medications. Effective culture specific strategies for dealing with issues of depression, fear and stigma, family dynamics, specific emotional and behavioral problems, such as grieving, living with HIV/AIDS and its circumstances, and addressing issues of the quality of life. Q: How is the HIV/AIDS counseling helpful? The applied research that needs to be done will result in more effective counseling. Counseling encompasses two major components, the first is prevention strategies. These strategies include instruction and discussion on the importance of condom use, the need for medication compliance and how the disease is spread. Secondly, productive change in clients through such things as: helping clients identify what they need to be productive and happy, challenging clients to look critically at their current behaviors and strategies in life, helping clients assess how effective their current strategies are and what needs to be changed, helping clients establish specific goals and intervening with the client to accomplish those goals.